This interview by Livia Giacomini with the geologist, Barbara Cavalazzi, was first published in Italian on the MEDIA INAF site on 22 March 2019 and is reproduced with kind permission. 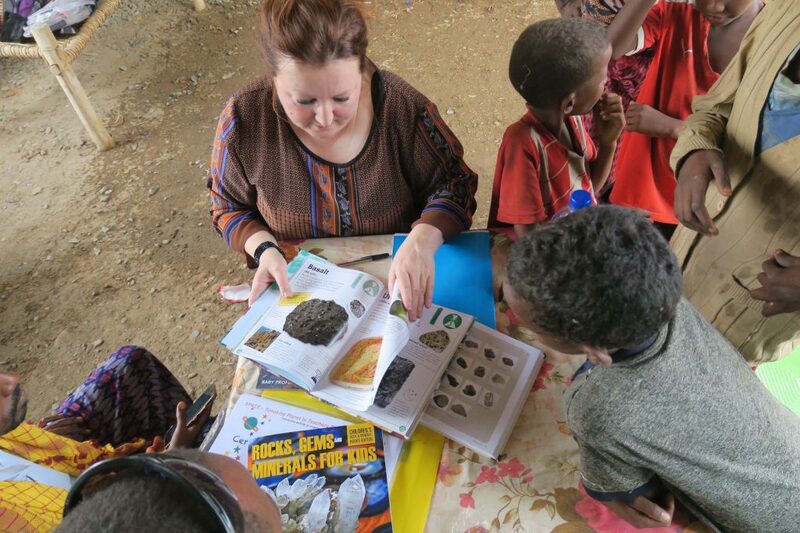 Barbara Cavalazzi has just returned from the desert of Ethiopia for the first “Afar Desert Class”, an educational project that aims to explain to elementary school children and their teachers how to study the Earth and other planets – and the rich resources offered by our own planet. 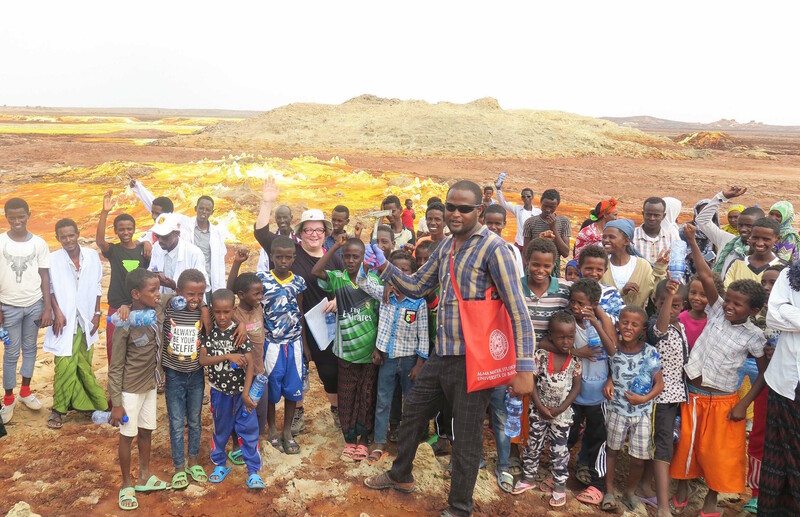 Imagine being out in the desert of Ethiopia, talking about geology and extraterrestrial life with local children and teachers, explaining what scientists do in the field and giving the community an opportunity for growth and development… This is what Barbara Cavalazzi, a geologist from the University of Bologna, has been doing with the “Afar Desert Class”, an initiative conceived in the European project, Europlanet, in collaboration with GEMMA (Estense Mineralogical and Geological Museum of the University of Modena) and Reggio Emilia and with the support of some private associations and supporters. We met Barbara on her return from the Danakil desert, where she has just spent a couple of weeks studying and working. Barbara, what led you from Bologna to the Ethiopian desert? It can’t be easy to bring elementary school children to an extreme desert environment to do lessons. Can you tell us what happened? Did you say that the experience also involved children’s families? “Yes, that’s right: these three days have been a real event for the whole community. On the third day of our course, back at the village, we invited the families to the school. We organised a photo exhibition about the project, and the children acted as guides for their parents by telling them everything they had seen and learned. It was a real party for the whole village, with a big lunch, which the whole community will remember for a long time. Also, at the end of the course, we gave them educational materials so that they could continue the experience independently. 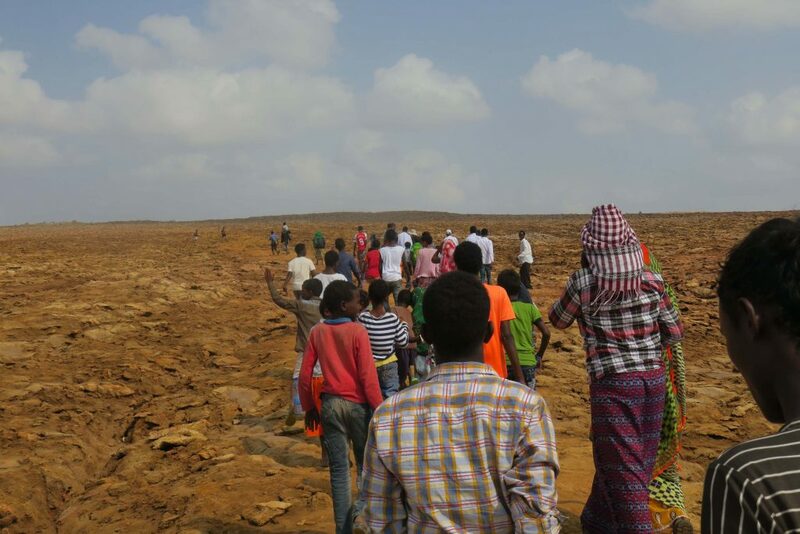 Thanks to the organisers – but also thanks to the I Bambini del Deserto and Vivere Insieme in Pari Dignità associations, to the Istituto comprensivo Pescara 5, to Zab Tours Ethiopia and to the many friends who collaborated with me on this idea of mine – we were able to give educational resources, books and clothing to the children and the school. A little dream too… The children at the beginning of this adventure were incredulous – they could not believe that everything was being organised for them and they seemed almost scared. Then, during the three days, they loosened up, we had fun, and they learned a lot. In exchange they taught me a few words in Afar and how much can be done in developing countries, starting with the next generation. We left each other with a “See you soon!” Because yes, this has become an important part of my scientific research.